Something a little bit different, this new Barn Conversion is based in the middle of Inkpen, 6 miles outside Newbury and 5 miles from Hungerford. Just a mile and a half away is the mainline train station at Kintbury, ready to take you into Newbury, Reading or London. This spacious conversion features a large living/kitchen area (fully equipped of course) plus a fully fitted utility room. 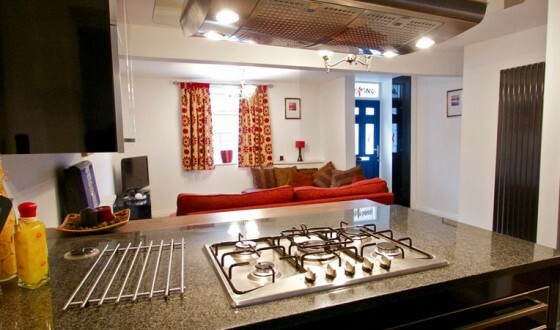 There are three bedrooms and two bathrooms (one ensuite) and private parking for up to three cars. Within walking distance is the Crown and Garter Restaurant and Bar (including a delicious coffee and cake shop) and just a short hop away is The Swan Organic Pub. There are plenty of quiet country walks to enjoy as well. Barcot Barn has everything you need to help make your stay as comfortable as possible including a flat screen TV, fully fitted designer kitchen, broadband and of course a full weekly clean, repacement of towel’s and linens plus a free welcome pack of essentials on arrival. 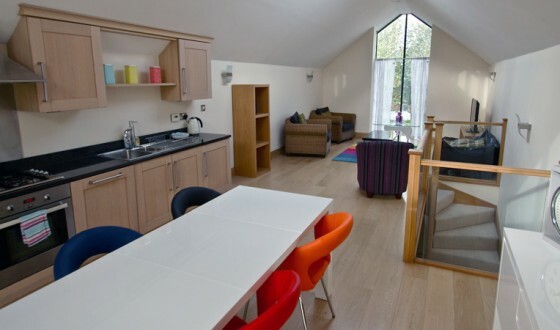 Phoenix Apartments is proud to offer unusual space, nestled in the quiet Berkshire countryside and within easy commuting distance of Newbury, Hungerford and the M4 corridor. Barcot Barn is in the village of Inkpen, a short drive from Newbury or Hungerford and close to Kintbury village and train station.